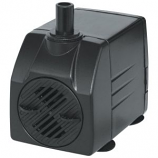 • Energy Efficient, Adjustable Flow Control, Completely Submersible, No Maintenance. • Danner Supreme 95 Gph Pump With Venturi and Fractionating Impeller. 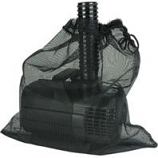 • Low Profile Filter Designed To Be Unobtrusive In The Bottom Of The Pond. 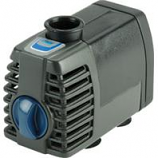 • Large Filter Area Means Less Frequent Cleaning. • More Then One Filter Can Be Connected To A Pump. Suitable For Small To Medium Ponds and Containers. • Specifically Designed For The Demands Of A Pond. • Magnetic Drive Pumps Are Made To Run Continuously, Without Seal To Wear Out. • Since It Is Filled With Epoxy, Not Oil, It Cannot Leak Oil Into The Pond. • Suitable For Statuary, Fountains, Ponds and Aquariums. Designed to allow the user to bury the entire bottom section up to the lip of the lid.. 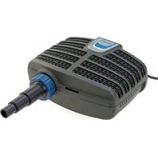 Included uv-clarifier which will help keep your pond clean and clear throughout the year.. 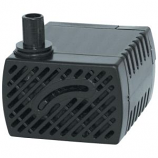 Ideal for ponds up to 1600 gallons in size and will function optimally up to that range. Pull handle on the top to help loosen solid particles from the filter pads. Included valve that allows you to dump the sludge caught in the filter over the time of its use.. Amazing power in a compact design. Extend the service life of your pump and ensure lasting high performance by keeping out large debris.. . . . .
• Powerful Efficient Hybrid Magnetic/Direct Drive Motor. • Extremely Low Energy Use. • Specifically Designed For Use With Skimmers and Waterfalls. • Fish Safe Because No Oil Is Used. • Foam Filter Offers Biological Filtration. 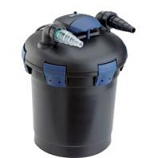 • Filtration Helps Support Plant and Fish Life. Suitable for large to extra large garden fountains piped statuary, and ponds. Individually packed in a poly bag with header. Shipped 12 per carton. Replacement Impeller For Md18 and Pm18. Energy-efficient magnetic drive. For inline or submersible user. Variable flow control. Debris-reducing pre-filter. . Suitable for ponds up to 1000 gallons.. 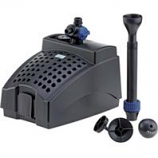 Combination of mechanical and biological cleaning and effective uvc technology.. Quick release for easy opening and closing of the filter when performing maintenance tasks.. Integrated uvc unit ensures fast cleaning of green water.. Bio-media offers large surface area for beneficial bacteria to settle..
• Mdwp-3 3 Gph Waterfall and Skimmer Pump. • Completely Submersible. 2 Ft. Power Cord With Grounded Plug. • Powerful Efficient Hybrid Magnetic and Direct Drive Motor. • Replacement Quartz Sleeve For 20 Watt Clarifier/Stabilizer Bci# 956632. Suitable for large garden fountains, piped statuary, and ponds. Add the sparkle and sound of moving water while helping to aureate it. Fountain head add the sparkle and sound of moving water while helping to aerate it. • Can Be Used Submerged Or In-Line. • Suitable For Medium Garden Fountains, Piped Statuary and Ponds. • Restores Maximum Pump Flow. • Replacement Impeller For Mag-Drive 12, Pondmaster 12 and Model B. • Straight Waterfall Box Or A Biological Filter and Falls Extra Wide Spillway For Greater Water Aeration. 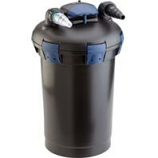 • Open Swirl Chamber For Even and Efficient Water Flow Through The Filter Media. • Mechanical and Biological Filtering For Super Clean Water. • Easily Buried In Ground To Hide Canister From Sight. 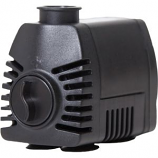 • Mdwp-2 Mag-Drive Waterfall/Skimmer Pump.